It just isn't christmas without a festive slogan sweater dress. 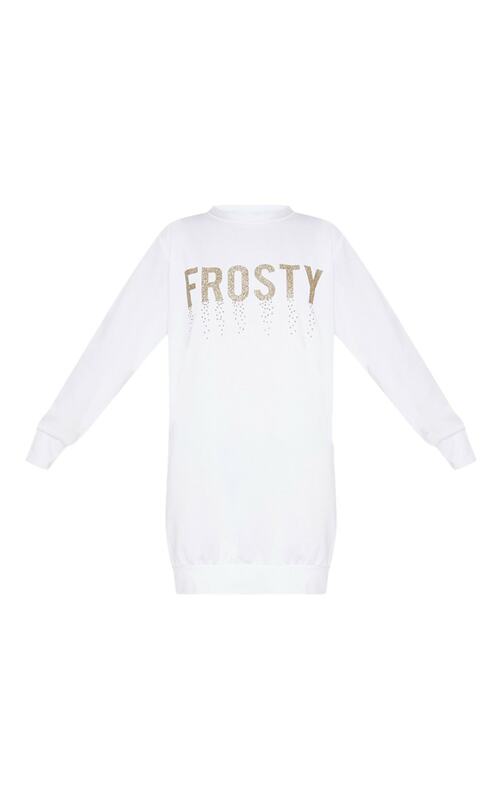 Featuring a soft white material with a glitter "Frosty" slogan on the front and an oversized fit. Style it with boots and an oversized coat for some extra comfort.